Consumption of video content is on the rise. So how can pharma use this increasingly popular tool? Jon Mowat highlights some of his favourite examples of video marketing to provide inspiration. It’s no secret that video content is the dominant force in online marketing, with social networks moving towards video-first futures and 4G data plans becoming increasingly common and ever-more reliable, allowing users to hit the ‘play’ button without fear of buffering. 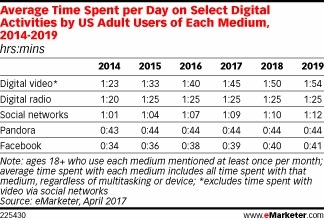 In fact, according to eMarketer, US adults now spend 1 hour 45 minutes each day on digital video sites (such as YouTube, Vimeo, Netflix), in addition to any video content they consume during their 1 hour 9 minutes browsing social platforms. That’s almost 3 hours of potential online video viewing every day. These are incredible stats that will only rise as we approach the end of the decade, especially as 5G mobile is on the horizon – another technological leap that is also likely to expedite the adoption of telehealth services. Pharma companies are no strangers to hopping aboard the broadcast bandwagon, producing short films to send out the right message and generate healthy brand awareness, but for those less consumer-facing businesses, knowing what type of content to produce can be difficult. This video documents an inspirational campaign that showcases how those affected by diabetes don’t have to be defined by their condition – with participants hiking up Mount Kilimanjaro to prove the point. The focus of the video is on the young participants and their desire to reach the top, working together and driving each other on, taking care to manage their condition every step of the way. Sanofi’s branding is minimal – just showing the logo at the end – but the messages of positivity underlines the company’s commitment to helping those living with diabetes. This is a great example of brand positioning, detailing GlaxoSmithKline’s (GSK) history and introducing future goals. Such videos help boost internal communications, ensuring all employees are aware of where the company is and where it is heading. It also introduces charitable aims and a commitment to ethical trading, reassuring viewers that this is a business in tune with its corporate responsibility, one that is looking to create a positive impact on the world. Animation is an excellent means of communicating big ideas – quickly dissecting complex projects and taking audiences on visually-captivating journeys, in this case enabling GSK to achieve a lot in just three-and-a-half minutes. Pfizer’s #QuitWithHelp campaign employed the F2Freestylers, a pair of social media icons for lovers of silky soccer skills. The F2 have over 6 million subscribers to their YouTube channel, so can definitely be considered ‘influencers’, i.e. they are well positioned to take your message to the masses. This video illustrates how you can achieve great things with a little teamwork. Bill balances a cigarette on top of the crossbar, before Jez kicks a ball from 50 yards away, knocking the cigarette into the bin. The underlying message here is that it’s easier to ‘quit with help’, i.e. by seeking the advice of a medical professional to give up smoking. The video (hosted on Pfizer’s channel rather than the F2Freestylers’) has achieved over 1 million views, and was a social media smash, giving Pfizer great brand exposure and hopefully encouraging a fair portion of those viewers to stop smoking, painting the company in a very positive light. There is no doubt that video can be incredibly powerful for propelling your online presence, and innovations such as 360-degree films are perfect for medical marketers. The medium of moving pictures allows you to show rather than simply tell, which is why it’s so effective at resonating on deeper levels. Whether you document epic challenges, use animation to tell your story or team up with social media superstars, much can be achieved when you start shooting. Jon Mowat is the founder of UK video production company, Hurricane. 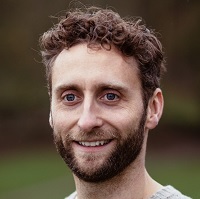 As a former BBC documentary filmmaker, Jon knows how to tell a good story and he uses his skills to help international brands convey messages that connect with target customers. You can follow @HurricaneMedia on Twitter and connect with Jon on LinkedIn. Read more on this topic in pharmaphorum’s magazine Deep Dive: Digital and look out for Deep Dive: Digital II, launching later this year. Sign up here to receive complimentary copies of Deep Dive as soon as they are published.